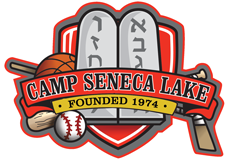 To get more information please call or email the camp office and if you want, you can set up an appointment to take a tour of the camp during the summer. Most of the campers are from the Tri-state area as well as Florida, California, Israel, Tennessee and Venezuela. How often does laundry get done? Once a week – onsite. You can email your camper anytime through bunk1, which can be found on the home page of our website. We print all emails first thing in the morning. Your camper will receive the emails after the mail has arrived and has been sorted. When can I call my child? You can call your child once a week on their calling day and during calling hour. There is no calling the first and last week of camp, the week after visiting day and once color war has begun. Packages have become very hard to deal with over the summer and the clutter up the bunks therefore, we no longer allow packages be sent to camp. In the event your child needs something necessary and we cannot get the item please call the camp office and we will make an exception. How does my child receive their medication? Your child receives their medication from the camp nurses during mealtime unless otherwise instructed. We have a full-time nursing staff as well as a camp doctor. Most illnesses and injuries can be treated in camp. If your child needs further attention they will be taken to Wayne Memorial Hospital a short trip away. How often does my child shower? Who makes my child's bed? Who cleans my child's bunk? The campers clean up there individual areas everyday and are inspected at the end of cleanup. The camp sends housekeepers to the bunks to mop and clean the bathrooms twice a day. Whatever you send they will spend! (we suggest sending $40 or $50 in spending money to the camp office where it will be locked up in a safe. How do you make up the bunks? We go according to your requests that you fill out on the questionnaire sheet. We guarantee at least one request. It varies. From hot to cold, sunny to cloudy, wet to dry. In order not to interrupt the camp programming and for security reasons we only allow parents to visit the camp ONLY on the assigned visiting day. Birthdays are a very special day for your child and we will give him/her a birthday cake during lunch or dinner. In addition there is the option to have a Sprinkles Ice Cream party and we do allow flowers or balloons to be sent up to camp.